A fearless, versatile explorer, pianist/composer Andy Milne has been a distinct and respected voice at the heart of New York’s creative jazz scene for over 20 years, collaborating with dancers, visual artists, poets and musicians spanning jazz, classical, pop, folk and world music. 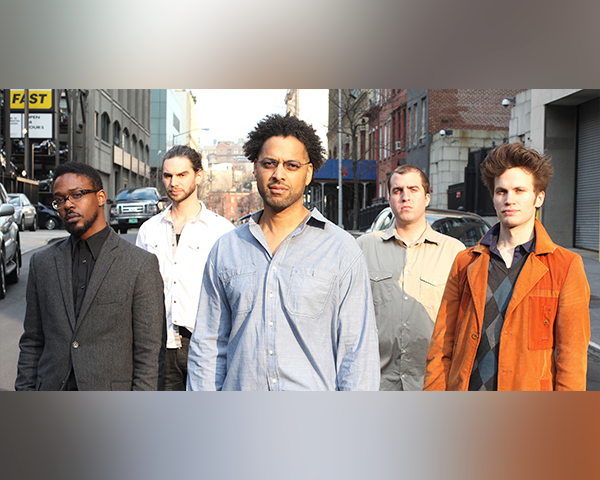 His main group for the past two decades has been his group Dapp Theory, a quintet that intersects the crossroads between lyrical jazz piano, funkified polyrhythmic exploration and spoken word poeticism. The band’s 2018 Sunnyside release, The Seasons of Being in a round one nominee for the 61st Grammy Awards. A former student of Oscar Peterson, Milne was at the center of the M-BASE Collective in the 1990’s as a core member of saxophonist Steve Coleman’s bands. Milne has recorded and toured with Ravi Coltrane, Ralph Alessi, Carlos Ward and Carla Cook and has collaborated with a range of artists including Andrew Cyrille, Sekou Sundiata, Avery Brooks, Bruce Cockburn and William Shatner, for whom he has composed several film scores. Milne has received numerous awards in Canada and the US, including the prestigious Civitella Fellowship.